In our never ending quest to explore as much of Taiwan’s natural beauty from coast to coast, we found ourselves on the eastern edge of the Formosa in Hualien County, home to the famous Taroko National Park. With our home base in Taipei, getting to to the park was much like our experience in traveling to the North Coast Scenic Area. Public transportation meant that we found ourselves at the mercy of transfers, missed connections, and infrequent bus schedules in order to get to our destination. I suppose we could’ve arranged a day tour from Taipei to the park through a tour operator, but that’s not what we roamers do. 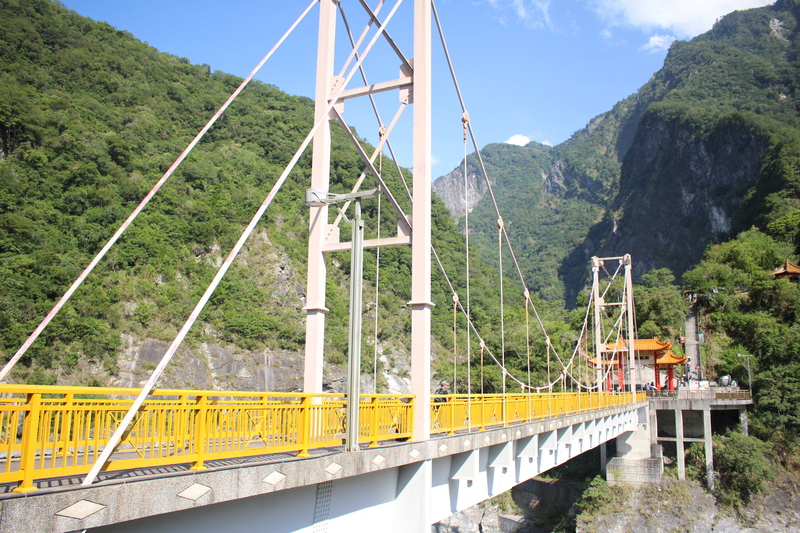 Traveling between the two cities will require over a two hour train ride, from Taipei main station to Hualien station. And you’re not even near the park yet. From the Hualien train station to the national park, you can either hire a taxi for the day (they will find you, don’t worry), rent a scooter (they will approach you too), or hop on the tourist shuttle bus (least exciting option). 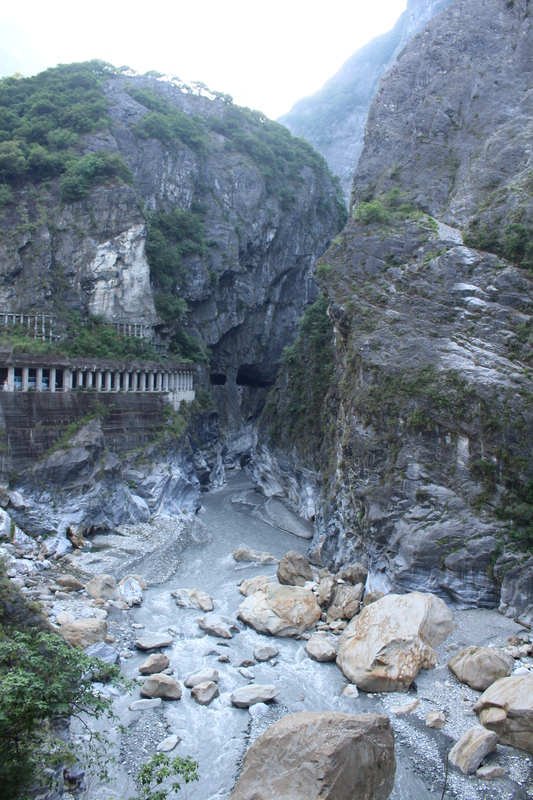 The narrow road that snakes through Taroko Gorge is not for the novice driver, but some of the best up close views of the sky high rugged limestone cliffs and jaw dropping cavernous ravines are best seen behind the handlebar of a scooter. Coasting through the tunnels and blind bends around the rock, the wind rattles at your clothes and through your helmet, the rush of crisp fresh air fills your nostrils as you pick up speed. You alternate between basking in the warm sunshine and then seeking relief in the cool shade of the rugged cliffs, while the gushing river far below and the occasional trill of swallows from above add to your soundtrack of exploration. 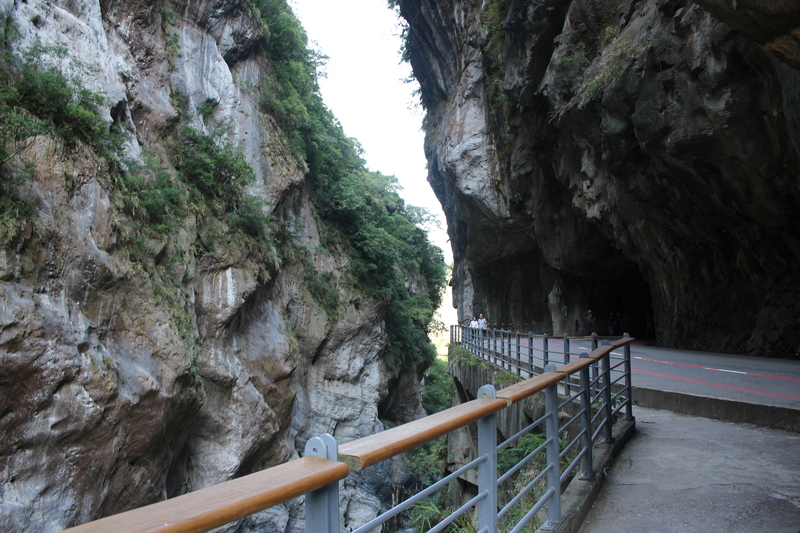 It is then that you really get a full sensory experience of Taroko Gorge. The beautiful rock envelopes you, seeming to almost close in on you from both sides, before widening again to let sunshine pour in and a glimpse of blue sky with the ever changing landscape. At least that’s how I imagined it would be like. Simon and I chose to hop on the Hualien shuttle bus. So much for calling ourselves roamers. 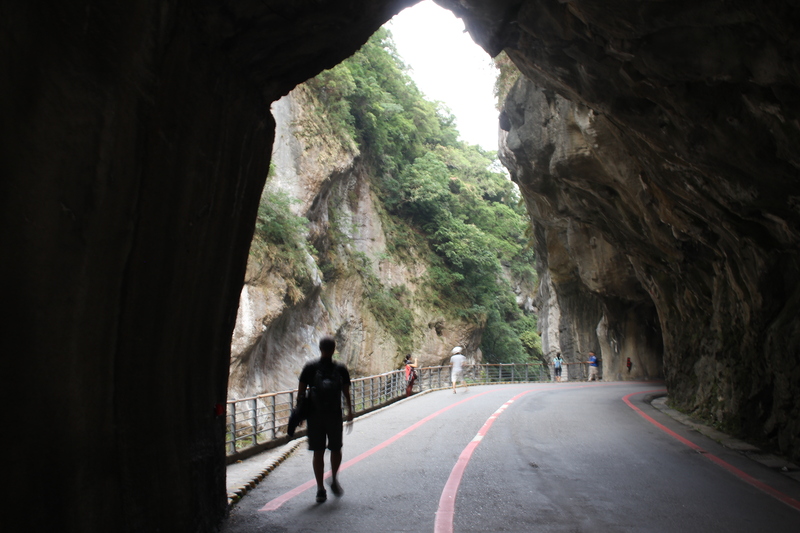 Still, even though it limited our exploration time on foot, Taroko Gorge did not disappoint. So what if I didn’t experience the thrill of the wind lapping at my face? I marveled at the marvelous marble, and gingerly looked out over the guard rails for a queasy view of just how deep the gorge is. Another amazing gem in the heart of Asia, shaped by the forces of nature. The next time I see you again Taroko Gorge, there will be wind in my hair.